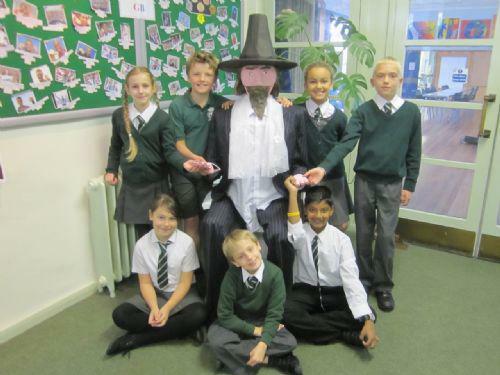 Our DT Club were again asked to build a Guy for the Round Table fund raising bonfire night. Colin Williams and his team did a great job and the pictures show the Guy in various stages of construction. Spencer Colliss, chairman and fundraising officer for Horley Round Table, said: "We are incredibly impressed by the efforts of the children and are very appreciative of the support provided by the staff. "When we asked the school to help we never imagined that they would create such an excellent guy." The Round Table, which celebrated its 50th anniversary last year, has raised more than £250,000 over the years for good causes, including supporting local youth groups, athletes and disabled children, and it is one of the few voluntary groups to see an increase in numbers recently.